Disney on Ice presents Worlds of Enchantment is coming to Edmonton at the Northlands Coliseum Dec 1st-4th. Enter the dazzling world of Disney magic LIVE ON ICE! Rev up for non-stop fun with four of your favourite Disney stories at Disney On Ice presents Worlds of Enchantment. Thrill to high-speed stunts as Lightning McQueen and the crew of Disney Pixar’s Cars race across the ice! Dive into adventure with Ariel and The Little Mermaid’s undersea kingdom. The toys are back in town with heroic action when Buzz, Woody, Jessie and the Disney Pixar Toy Story gang escape Sunnyside Daycare in their most daring adventure! 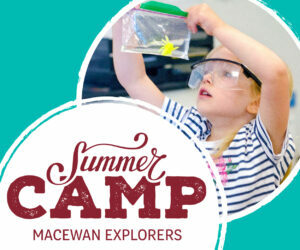 Plus, enter the wintery world of Arendelle with sisters Anna and Elsa and pals Olaf and Kristoff from Disney’s Frozen as they learn that true love comes from within. Get warmed up for the show and be your best with exclusive moves taught by the mouse that started it all at Mickey’s Dance-Along Pre-Show. From wheels to waves, icy wonderlands to infinity and beyond, your family’s favourite Disney moments come to life at Disney On Ice presents Worlds of Enchantment. 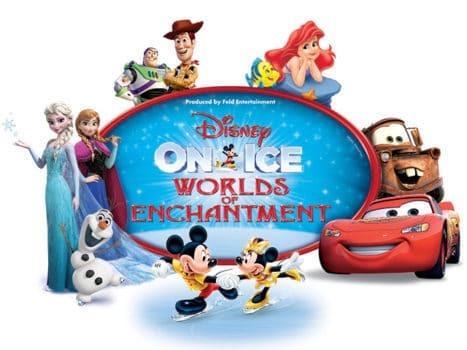 Tickets to Disney on Ice presents Worlds of Enchantment start at $20 and go up from there. To save money on your tickets you can enter discount code ‘OFF4’ and receive $4 off each adult ticket for the December 1st & 2nd 7:00pm show. There is a 15 ticket maximum for this discount. Enter for your chance to win a family 4 pack of tickets to the opening night show on December 1st at 7:00pm. All you need to do is enter via the widget below. I am a Feld Family Activator and a part of my agreement I receive compensation in the form of complimentary tickets and opportunities to attend pre-show events. All opinions expressed in this post are 100% mine. Hi Christine, I won this giveaway and have emailed you back about it (twice), but I’ve yet to hear from you again. I thought I’d try getting in touch with you via a comment here.